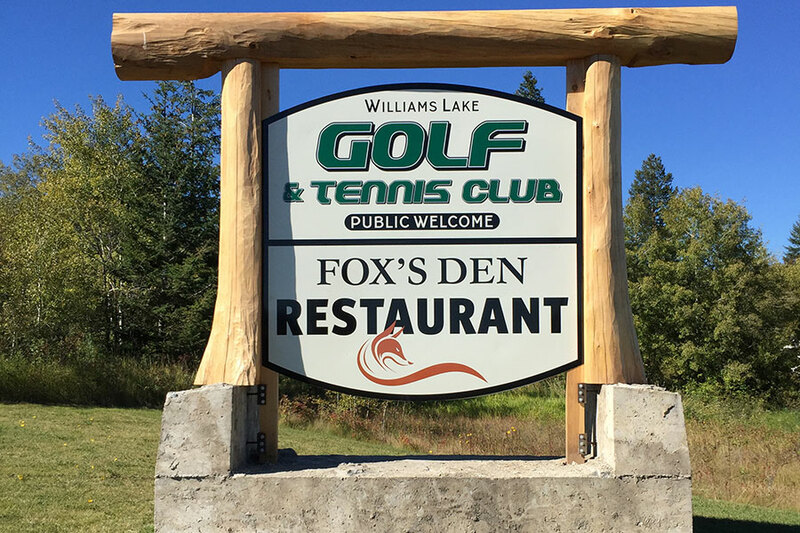 Schickworks is your complete one-stop shop, offering a full range of custom signs to Williams Lake’s business owners. Vehicle lettering and graphics, large format digital printing, logo design, magnetic signs, project signs, banners, decals, hand-carved signs, pylon signs, backlit sign cans and many more related items are available. That’s just half of what we do. The other part of our business, the “stitches” part, can outfit your business, team or crew with all kinds of apparel, including caps, toques, t-shirts, golf shirts, hoodies, jackets, and the list goes on and on. We also carry full lines of promotional products, enabling you to present a professional image to your customers. We are located in the heart of the Cariboo in Williams Lake, British Columbia, Canada and have been in business since 1998. Our design service specialists will work with you to create a business logo, or use your existing logo, in a professionally designed, eye-catching layout which is certain to maximize your advertising dollar. 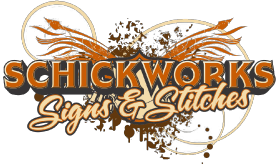 Schickworks is known throughout the Cariboo as the leading signage provider. There is nothing we can’t do! We sell and install LED signs! Let us create your custom Vehicle Wrap. Schickworks is the leading custom apparel provider that can customize any apparel to your needs. Schickworks provides high quality promotional products customized with your logo and information.